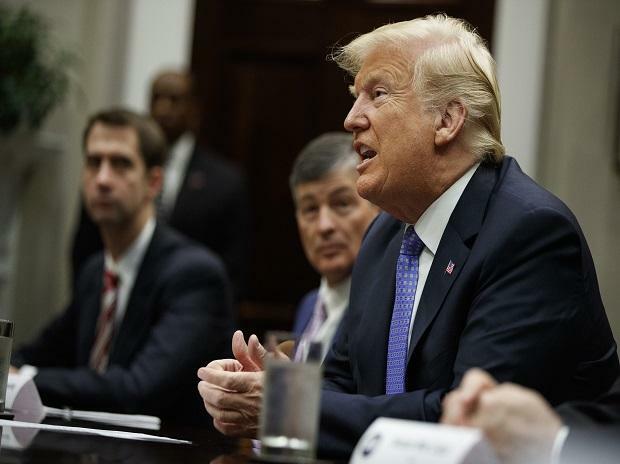 Donald Trump tried but failed on two separate occasions to pronounce the word 'anonymous' as the US President gave a speech slamming an unattributed New York Times op-ed that offered a damning evaluation of his presidency. The explosive op-ed "I Am Part of the Resistance Inside the Trump Administration", supposedly written by a "senior official", declared that many of the "senior officials in his own administration are working diligently from within to frustrate parts of (Trump's) agenda and his worst inclinations". Speaking to his supporters in Montana on Thursday, Trump criticised the write-up that paints a chaotic picture of life inside the White House. "The latest active resistance is the op-ed published in the failing New York Times by an anonymous, really, an anonymous, gutless coward," a furious Trump can be heard saying in the video that has gone viral. But as the president attempted to say anonymous, the word came out sounding more like 'anon-mous'. He stopped and decided to have another go at the tricky word. As he struggled to get his tongue around the word, it came out as "anominous gutless, coward". The faux pas quickly provoked a huge reaction on social media, with some mistaking him for saying the word 'enormous' or 'ominous', a media report said. The New York Times published the anonymous opinion piece about Trump's presidency on September 5. The writer, claiming to be part of the 'resistance' to Trump but not from the left, said: "Many Trump appointees have vowed to do what we can to preserve our democratic institutions while thwarting Mr Trump's more misguided impulses until he is out of office". The president responded by saying it was a "gutless editorial" and "really a disgrace", with his press secretary calling on the official to resign. He later tweeted, "treason" and in an extraordinary move demanded that if "the gutless anonymous person does indeed exist, the Times must, for National Security purposes, turn him/her over to government at once".